I am so excited to be performing on the Tesco Stage at the Balmoral Show this Wednesday – Friday. 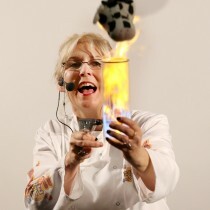 Follow http://www.balmoralshow.co.uk/best-dressed.html to find out the times of my wacky Supermarket Science Shows. Ever wondered why we call purple cabbages red? Is it possible to send farm animals into space? How much gas is in a burp? are burps explosive? I will be using lots of volunteers and loads of goodies found in Tesco to help me answer these and many more thought provoking questions. 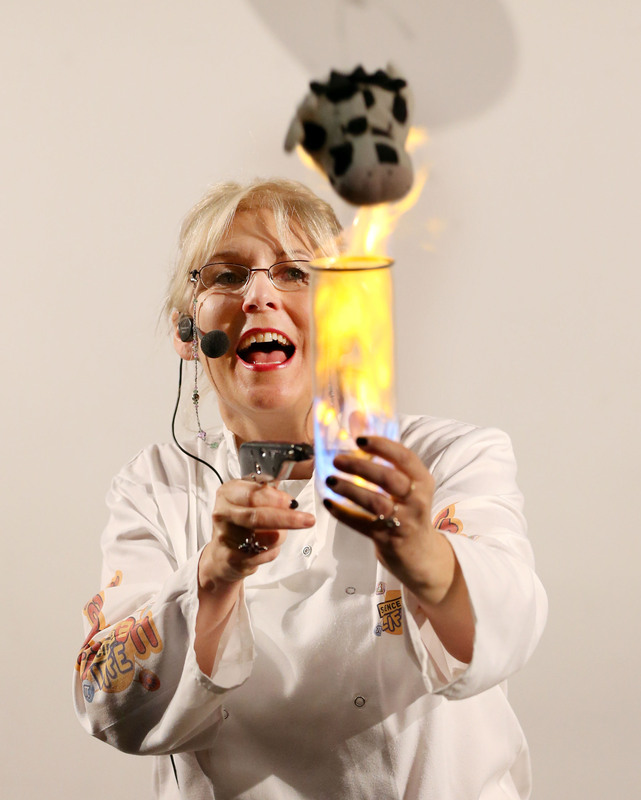 My next science shows available for the general public in Northern Ireland will be in The Intelligent Systems Summit and Science Festival 2013 which takes place on 11th and 12th of June at ‘The Venue’ – the new centre piece arena for Derry-Londonderry City of Culture events. I will be performing my Technology Rocks Show – it is another high energy science show which investigates the science behind my pink electric guitar.